KNS offers a full range of roofing solutions to meet the specific needs of a property. We’re certified by leading manufacturers including Firestone, Johns Manville, Kemper, GAF and other top manufacturers, ensuring that a KNS-installed roof is built to last. 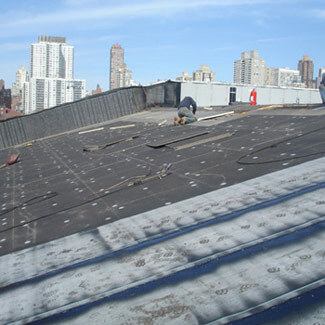 Along with its quality roofing services, KNS provides comprehensive waterproofing services. 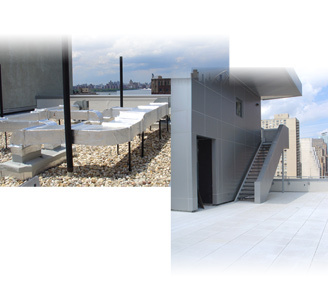 We address all aspects of waterproofing, from a building’s foundation to its façade, windows, and balconies. We identify and address the challenges faced by properties in our region where changing weather conditions can affect the integrity of a building. KNS has worked on properties in the five boros, Long Island, Westchester and New Jersey including several high profile hotels in lower Manhattan and Target's recent store in the North Bronx.